This is a story of a family who lives in a book and a girl searching for her story. The story is told through the main text, illustrations, and speech bubbles. 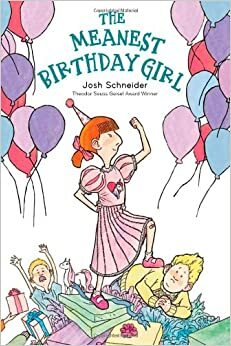 This is a fun story as the girl goes on an adventure through other stories as she looks for her own. This book could also inspire writers since it ends with the girl deciding to write her own story. 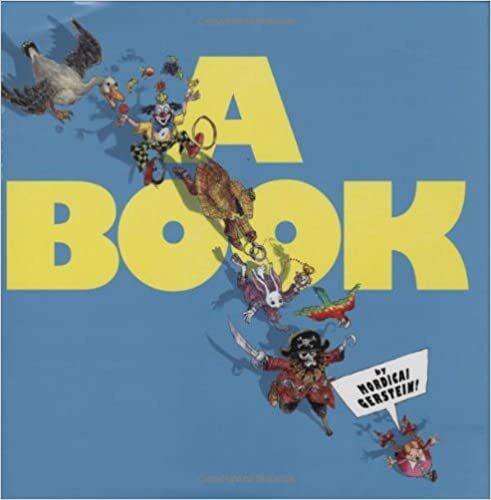 I love this picture book – it is a unique, clever tale. This is a wonderful early reader chapter book. Dana is a name-calling, dessert-stealing birthday girl at the beginning of the story. She learns to change her ways and apologize thanks to a clever classmate and a big white elephant. The book presents a theme that young readers, who have been teased or the object of another’s meanness, can relate to. They will also be amused by the fantasy and humor that’s present throughout the story. I have not read any of Schneider’s other books, but after reading this one I am definitely going to put his other titles on my reading list. This is the second book by Abby Hanlon featuring Dory, a child with a big imagination and a unique personality and style, whose family has nicknamed her Rascal. In this book she is beginning school and is worried about making friends. 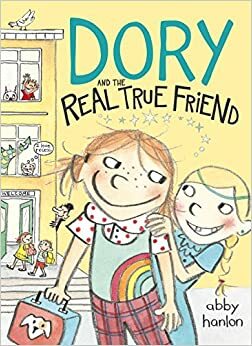 Readers are immersed in Dory’s dilemma at school and her attempts to make a real friend and the story of her imagined friends, including a monster and a fairy godmother. This short chapter book for those just beginning to transition to longer text has humor, fantasy, and adorable illustrations. This book is an essential for early elementary classroom bookshelves. I will also definitely be checking out the first of the books about Dory, Dory Fantasmagory. With this book, I skipped right to the second of the Treehouse Series books, the first one being The 13-Story Treehouse. 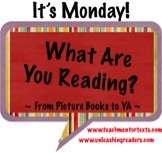 I am always on the lookout for chapter books that will engage my upper elementary readers and I think this one will interest some of my reluctant readers. 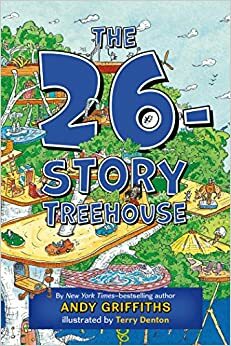 Andy and Terry live in an amazing tree house that is now 26-stories tall and they write their own stories. The stories they tell are far-fetched, include pirates and a Maze of Doom, and will make kids laugh. There are lots of pictures in this book and many of the pages only range from a few lines of text to a few paragraphs. This is perfect for my readers who haven’t yet built the stamina for lengthy chapter books. I’m looking forward to sharing this one with my students. I finished this book the week before last, but haven’t written an It’s Monday What Are You Reading Post since so I’m including it here. This book definitely lives up to all the hype. It was one of the most engaging children’s books I’ve read in a long time. There’s magic. The magical circus that the plot revolves around draws readers into a world of fantasy and imaginiation. There’s also a miracle. Micah Tuttle is helping his dying grandfather get his one last miracle. There’s also a surprise. Micah thinks he knows the miracle his grandfather wants, but grandfather has his own idea. If you haven’t read this one yet, definitely put it on your list. Adults will love this book as much as children. Thanks for A Book. It's not familiar & sounds like lots of fun, Lisa. I don't know many early chapter books but may need to in this next year for my granddaughter. The Treehouse stories sound fun. I do love Dory! 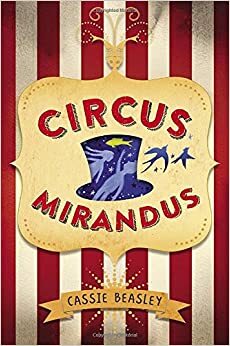 And of course, Circus Mirandus-beautiful book. I got it fast on my Kindle, but may have to purchase it for those lovely illustrations, too. I loved Circus Mirandus. Read it while I was in Munich several weeks ago - it definitely is a beautiful read. I just can't say enough about Circus Mirandus. I'm eager to share it with teachers and students when I return to school.